"The only place in Toronto for premium ice cream event catering!" Our organization hired Carter’s Ice Cream in 2015 for a corporate event being held onsite at our office. Tammy and her team took care of all set up and tear down in our boardroom, making the event incredibly hassle free. The presentation of the ice cream and toppings – complete with pink tablecloths – was very well done and Tammy provided friendly and professional customer service when interacting with our staff. All that, and the ice cream was delicious too! We would definitely book with Carter’s Ice Cream again. 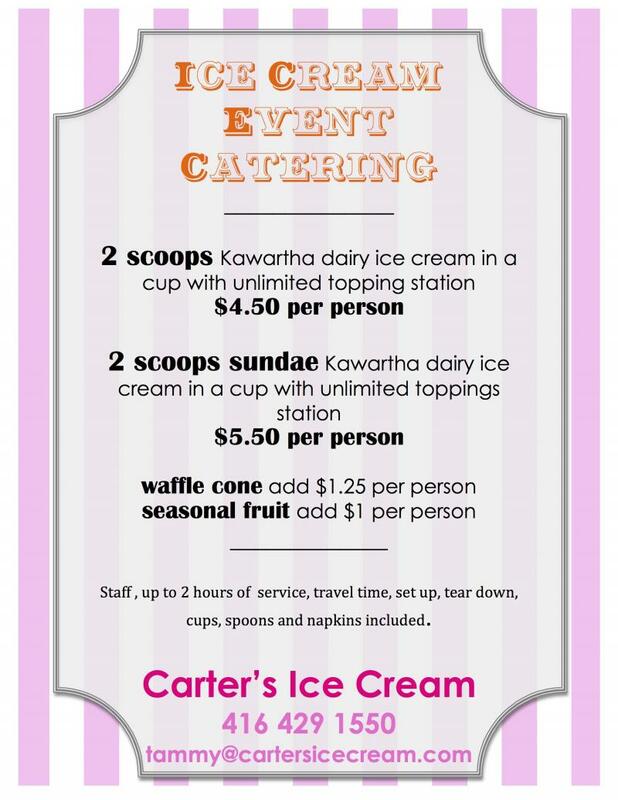 for the past two years we’ve had a fantastic ice cream sundae bar set-up and run by Carter’s Ice Cream in our office. Tammy suggested ice cream flavours that everyone loved, and brought a whole bunch of toppings to really make it a fun experience. We have two locations in Toronto that Tammy was able to serve at the same time, which we truly appreciated. Overall a great event! catering is fun and fantastic - we can¹t wait to have Tammy back at MaRS!" "We used Carter's Ice Cream to provide an "Ice Cream Sunday Bar" at a company BBQ & our company picnic and it was a great success. The service was professional, courteous and of course the ice cream was very good. 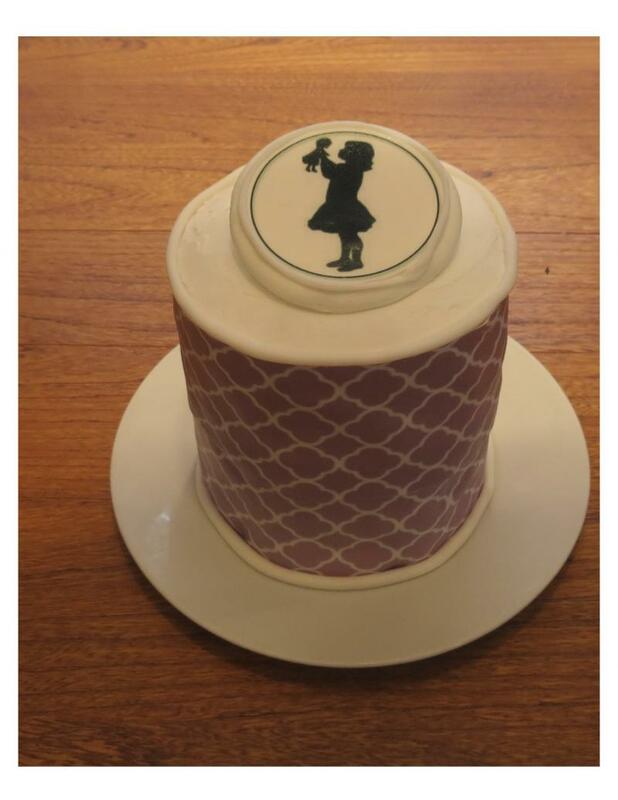 Our employees loved the extra treat." "We used Carter’s Ice Cream for a company picnic in the summer of 2015. I was very pleased with Tammy’s services. She brought everything needed, set it all up, served and cleaned up, all for a very reasonable price. It was a big hit with our staff and they loved having a wonderful choice of ice cream and toppings to enjoy on a beautiful summer’s day in the park. We were happy to support a local business and we hope to make this an annual event!" Carter's Ice Cream is now mobile. We are pleased to offer our unparallede ice cream experience at corporate events, employee appreciation parties, weddings, catered functions and much more. Space is filing up fast so book your special function today. At Carter's Ice Cream we are pleased to serve you Kawartha Dairy ice cream, made locally in Ontario with fresh milk and fresh cream ingredients. 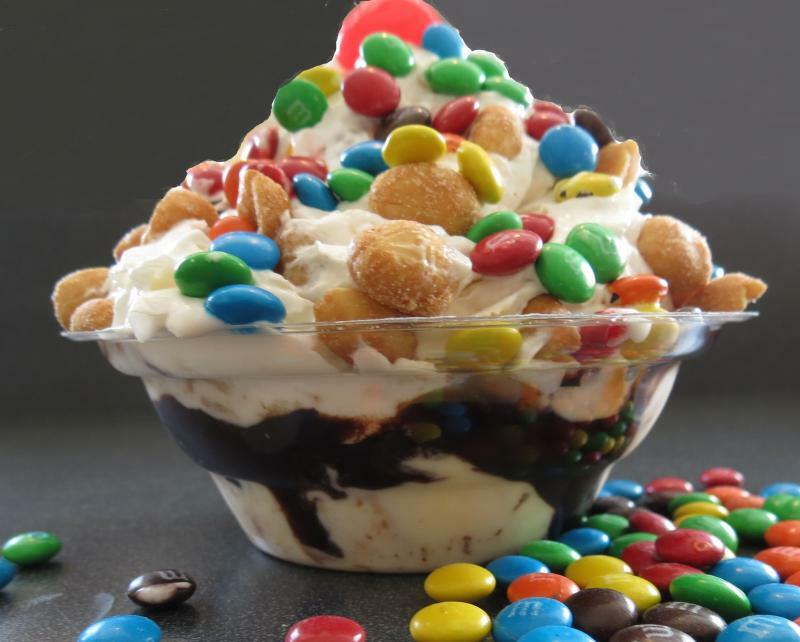 We have scoops and cones, milkshakes and floats, waffle cones and waffle bowls and let's not forget our yummy delicious sundaes (and waffle bowl sundaes too). dairy free, vegan, gluten free options available for an additional charge. Corporate event, wedding and party ice cream catering available. Ask Tammy for details. Copyright 2009 Carter's Ice Cream. All rights reserved.